Thanksgiving is next week!? Crazy stuff! Does it feel like the holidays? No, it really does not. I feel like we skipped a few months and I don’t even feel like I’ve been in school for almost an entire semester already. Time flys when you’re “not” having fun, I guess 😛 There are so many things going on right now and dates to remember and deadlines to meet! I’m on a mad dash to create a perfect editorial calendar, finally, for my blog/business. Keeping the dates for my school work is easy, but with blogging and this crazy 4th quarter, everything keeps changing and things get shuffled every day! I have about 10 written to-do lists right now! As I try to digitize and organize, I hope you find some time to browse around this week’s Friday Finisher! The chaos is felt by us all, I’m sure! I have a special post coming at you tomorrow too! I’m pretty excited to share it with you and it may just be the answer to your chaos! Have a great weekend! What are your favorite practices? What are you doing in the last few weeks of the year? Make it an engaging game! Loved how in-depth this went! Some actions to take to break those habits and mindset! + Why Are Some Very Smart People So Quiet? If this really does what it says and cuts down on all that potential waste and hassle…I’m in! Should we keep it as is? I dare you to try it and get back to me with the results! It shapes nutrition. Let’s just post beautiful images of broccoli! Do you ever use stock images? As a food blogger, obviously, I don’t have the need. I still feel it’s so disingenuous. O, boy! We can never really be ready or predict, though! Wow! What a background and the implications for the future. A must read! Right when I think I’m starting to understand IG, I don’t. It is all about that first step! You can write a novel anywhere! Well, this is great! Another way to cut it down! 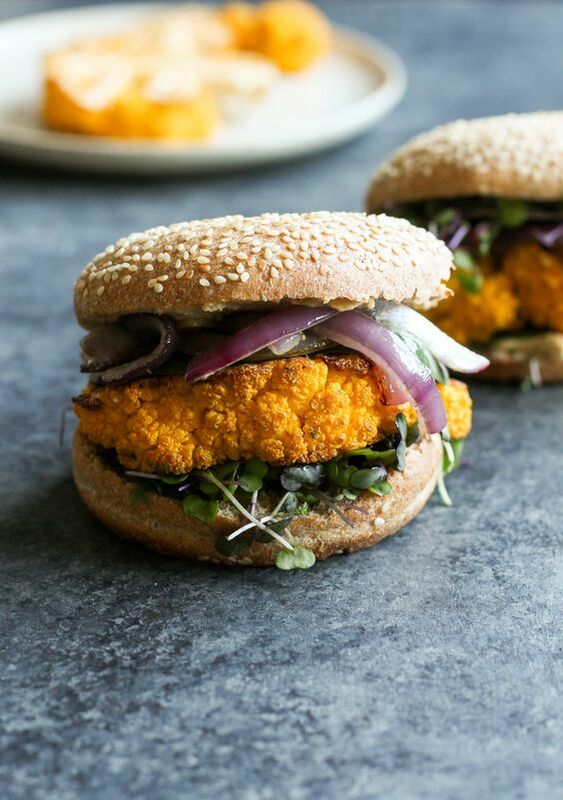 Vegan Cauliflower Steak Burger. You know I love caulisteaks! 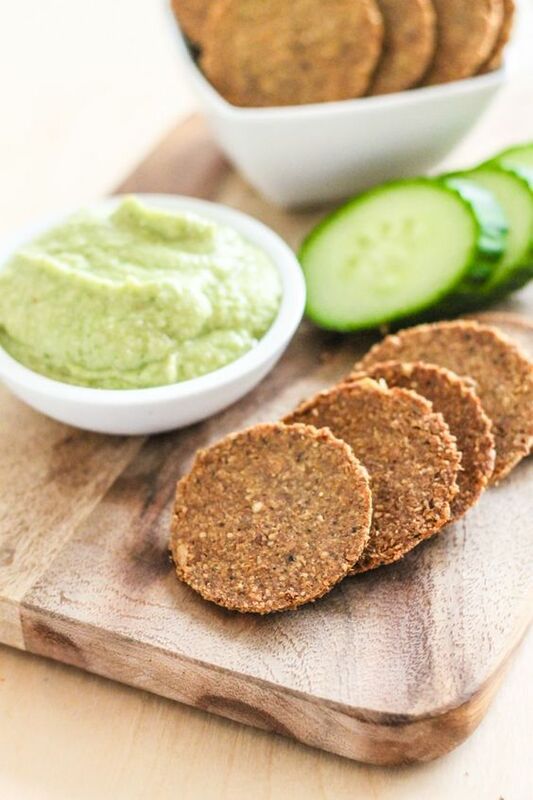 Super Seed Grain-Free Crackers. Great for a holiday appetizer plate! 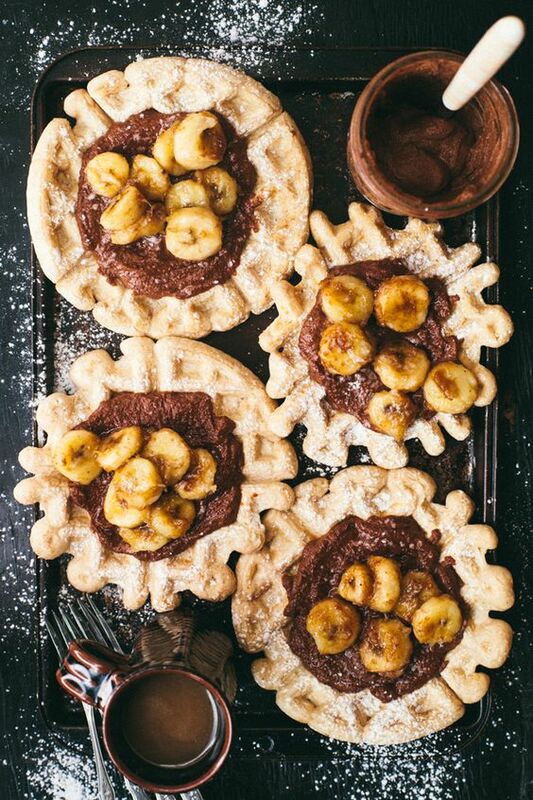 Healthy Waffles and Nutella with Caramelized Bananas. What a glorious breakfast! Roasted Tomato, Eggplant, and Smokey Chilli Soup. That will warm the soul! 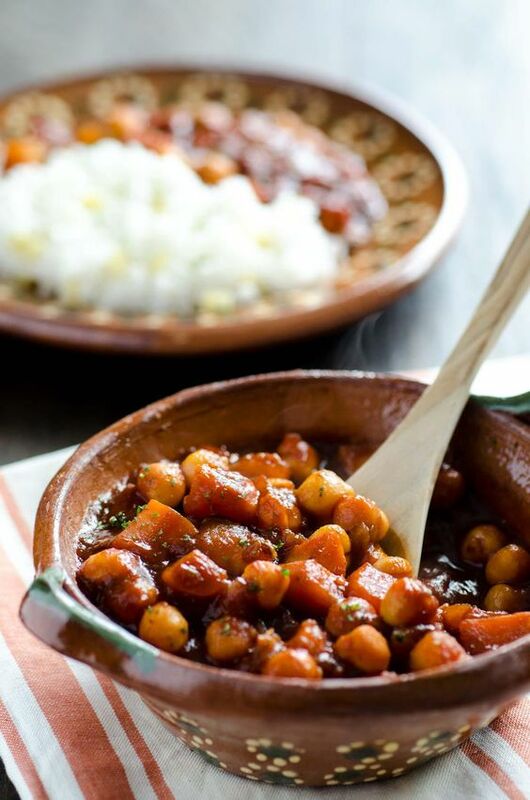 Sweet Potato and Chickpea Stew. This is killer cozy too! 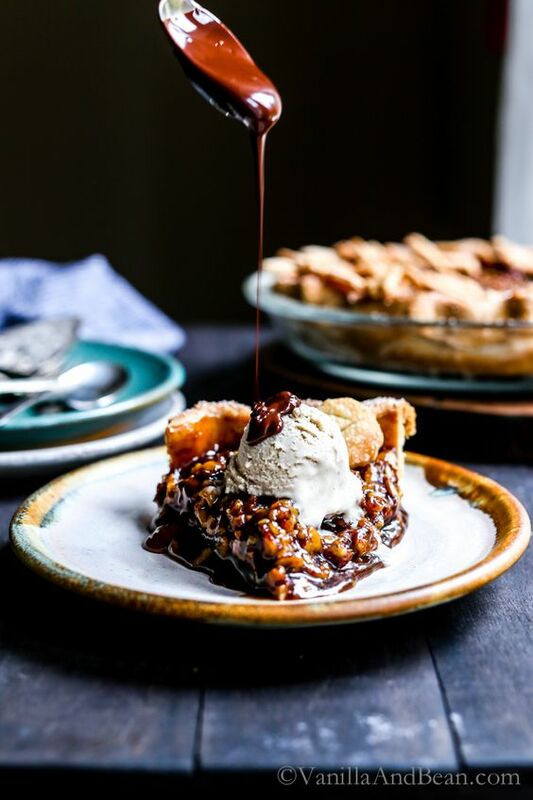 Vegan Bourbon Pecan Pie. Stunning and so rich! 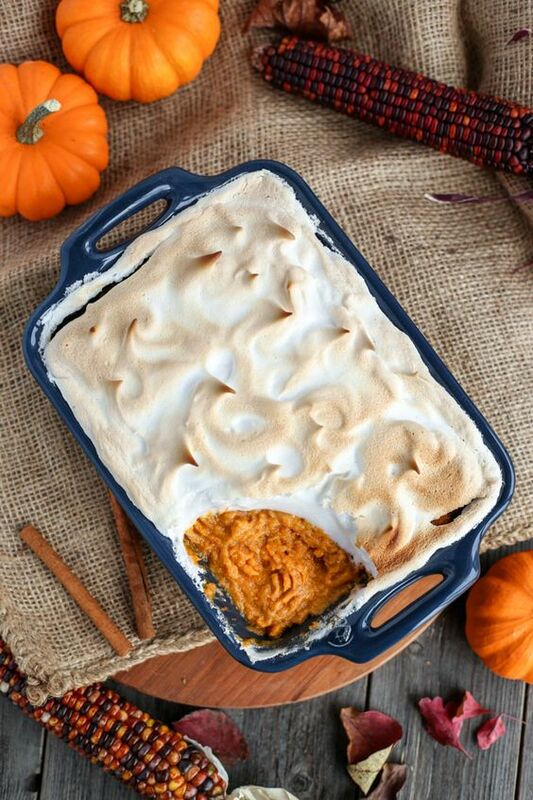 Aquafaba Marshmallow Topped Sweet Potato Casserole. Brilliant idea! + A fantastic opportunity for my research paper! I won’t tell you yet, but it was a welcome moral boost! + Amazon Prime is on major discount today and only until midnight. Do you have it? It seems like a good idea to get with the holidays…I’m tempted. I was wondering why so many people kept asking me what I was doing for Thanksgiving/whether or not I had to work (I do). I thought it was still pretty far off! Where has all the time gone!? :O I feel ya on the chaos! Those waffles with nutella and caramelized bananas. o_o I need em’. I loved that natural/green beauty article! :] Yay for less waste! The holidays will be here and then they will be over just as fast as they came!! Another fantastic Friday post, Rebecca. I found the post on over-modifying traditional foods very interesting. 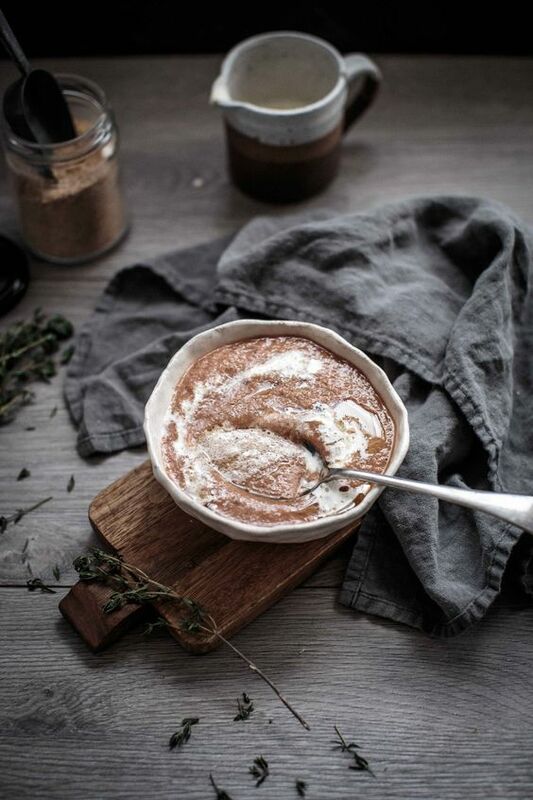 I love to cook foods in their traditional form but if I want to convince my readers (mostly North Americans) to try it, I have to change the recipe to include a lot of readily available spices otherwise they don’t bother to try it. I might take another stab at it though and try and convince people it’s well worth it! I know what you mean! Usually though, I don’t care and I use the odd ingredients. If you want authentic tastes, flavors, and a true food experience, that’s that! I look forward to perusing this amazing list of links & resources over the weekend especially as I finalize our Thanksgiving dinner menu. I also do have Amazon Prime after holding out for many years and I have to say I absolutely LOVE it! Everything you order shows up on your doorstep in 2 days – it is the epitome of convenience! Thanks so much for sharing all the fabulous info – especially with your super busy schedule! Awesome! I really do think it can be such a great thing! I think I’d order more if I actually had it! I seriously can’t believe Thanksgiving is next week… maybe that’s because it’s still hot here in Southern Ca! Side note: You should be so proud of yourself! I can’t imagine how hard it is to balance going to class, tons of assignments and full time blogging! I’m so happy it’s still semi-warm!!! I wish I was in SoCal though! AH! I’m so excited for Thanksgiving! It’s just going to be my husband and me so I’ll just make some of the basics, turkey, stuffing, potatoes, veggies, and dessert of course. And girl I don’t know how you balance all your school work and the blog. Do you use a digital planner or do you hand write everything? I can’t seem to figure out what works best for me. Bahaha! I was just in a big discussion about this. No! I have no idea how I'm (barely) keeping things going! I have digital notes, tons (TONS) of written to-dos....it's a mess! But I guess it's a working mess! Just spent a really long time looking through the photos of the best hotels. Have some traveling to do! Oh I do have Prime. Tempted…. Ah! I know! I don’t order much from Amazon, but if I had prime, it could be useful for food and what not….I think I’d use it more!